Sydney Waverley, too, is losing her balance. With each passing day she longs more for a baby— a namesake for her wonderful Henry. Yet the longer she tries her desire becomes an unquenchable thirst, stealing the pleasure out of the life she already has. The Waverleys are back! 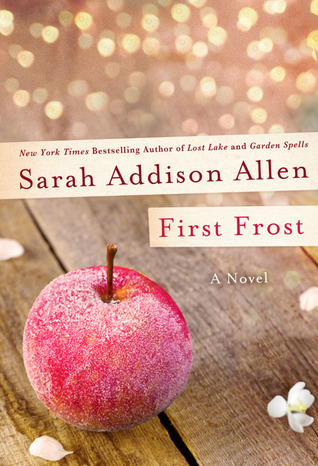 Having just finished rereading Garden Spells I jumped right into Sarah Addison Allen’s newest book First Frost. Though First Frost is intended as a standalone novel it continues the story of the Waverley sisters met in Garden Spells. 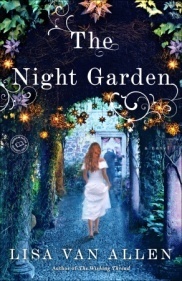 I think you can certainly enjoy these books independently, but I found the story richer having just reread Garden Spells. Sarah Addison Allen’s books are happy reads for me and I felt like I was catching up on old friends as I began reading about Claire, Sydney and Bay. The apple tree at the Waverley home is part of their mystique in the town. The rumor is that if you eat an apple from the tree that you’ll see whatever the biggest event of your life will be. The Waverley’s don’t eat the apples as a rule and they try to keep anyone else from getting to them. The tree doesn’t really appreciate the interfering and is still throwing its own apples to people. The tree is also unusual as it blossoms at the First Frost every year and not in the fall. As the Waverley’s wait for the frost they feel uncertain and edgy and are all more likely to make poor choices. A mysterious stranger has come to town, but he always seems to disappear before Claire can see him. Claire has stopped her catering business and is spending nearly all of her waking hours on a new venture-Waverley’s Candies. The Candies have taken off with an unprecedented popularity and Claire finds herself overwhelmed and once again questioning herself and her abilities. Sydney is as in love with her husband as she has ever been, but longing to have another child. Sydney’s daughter Bay is in high school now and still has the gift to be able to tell where things -or people belong. Poor Bay knows she belongs in Bascom, but the one young man she knows belongs with her barely acknowledges her existence. I was really glad that none of the romantic angst in this story came from Claire and Sydney – the sisters found their happy marriages and that didn’t need to change. The sisters have matured beyond who they were in Garden Spells and are much closer. Claire and Sydney are each other’s touchstones in times of distress which I loved after the distance between them originally in Garden Spells. The effects of the magical stranger on the town and on Claire were kind of jarring in comparison to the rest of the story. I liked the storyline in the end, but his whole presence was too harsh at first for me. 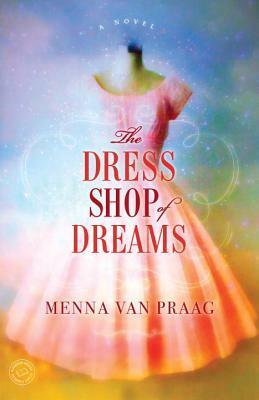 I enjoyed the book in spite of that plotline- not because of it. He was the vehicle to get the story where it needed to go for Claire. I did like that the questions the stranger forced on Claire made her look back at the Waverley women so that we learn more about their mother and grandmother. I loved seeing Bay as a young woman determining her relationship with her mother and her own path in Bascom. At the end I was just happy to be back with characters I loved, getting more of their story. 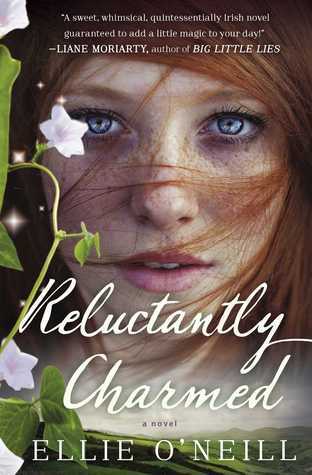 While this might not be my favorite of her books this is definitely a book I’ll recommend for Sarah Addison Allen fans and those who enjoy magical realism. Thank you St. Martin’s Press for this advance copy in exchange for an honest opinion.